James Candy Co., the maker of the Jersey Shore's famous Fralinger's salt water taffy, has filed for Chapter 11 bankruptcy protection as the company pursues a strategic reorganization. The Atlantic City-based candy manufacturer, founded in 1880, has long been associated with the shore experience through its taffies. Its 11 retail outlets include locations in Wildwood, Cape May and Ocean City. The company also owns Bayard's Chocolates, which has locations in Cinnaminson and Cherry Hill, and has been making chocolate treats since 1939. In statement, James Candy said it will continue to operate its stores and online mail order business without any changes in operation or product fulfillment during the 2018 holiday season and beyond. “The combination of reduced Atlantic City visitors and boardwalk foot traffic since 2006, the underperformance of 2018 summer sales along the New Jersey seashore and the continuing increased cost of business operations has impacted our efforts to remain a profitable business," James Candy Company president and CEO Frank J. Glaser said. Chief Operating Officer Lisa Glaser Whitely told the Press of Atlantic City the rain this past summer might have been a factor in the slowdown of sales. Spring and summer sales numbers fell by 23 percent in a period of less than two years, Whiteley said. The company plans to continue payment of employee wages, benefits, vendors and suppliers as usual despite the bankruptcy filing. "We have already begun to work with creditors, vendors and other business partners to maintain service to our customers,” Glaser said. Salt water taffy was popularized in New Jersey by Joseph Fralinger, a Philadelphia glassblower and fish merchant who returned home to Atlantic City in the mid-1880's. 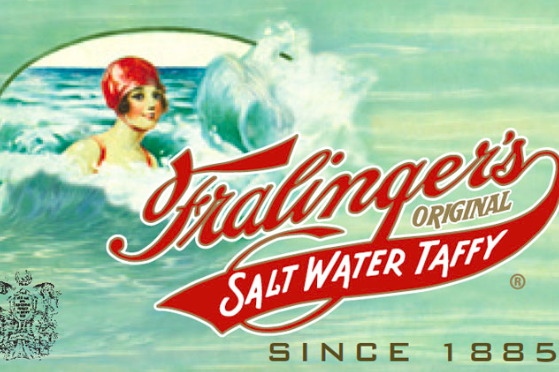 After taking over a taffy stand on Applegate Pier, Fralinger created his own molasses taffy recipe and expanded to six locations. James Candy Co.'s one pound boxes of taffies, originally placed in oyster boxes by Fralinger, have been iconic souvenirs from Atlantic City ever since.